Today’s youth generation are larger in number, with nearly 4 billion young people are living under the age of 30. Being half of the world’s population, The American Academy of Family Physicians says “Health is a state of Mental, Physical, emotional, and behavioral well being and not just only the absence of disease or sickness,” it says. It is the solution to living a satisfying and productive life. 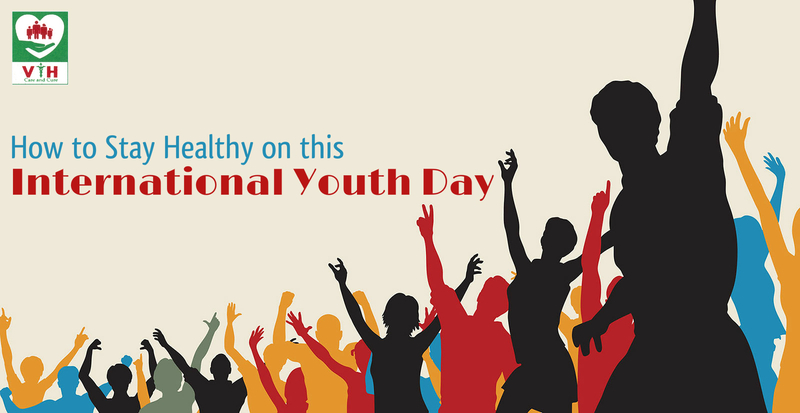 In this article, being a Multispeciality Hospital in Chennai, Venkataeswara Hospitals sharing some tips on how to stay Healthy on this International Youth Day 2018. The concept of health is classified into different categories. These could include physical, mental, emotional, and behavioral health. But as a youth or a teenager, there are some things you should pay special awareness on following areas. Regular Exercise will make Teens to be physically active for at least 1 hour of each and every day. Eating plenty of protein foods, fruits and vegetables, low-fat dairy products and whole grains will involved in growth and development. Children and teenagers with fatness are more likely to maintain a healthy weight. Normally youth people require 9 and 9 ½ hours of sleep every night, but the average sleeping is 7 Hours. Sleep has a strong effect on your ability to think and succeed at school. Brush & floss your teeth and avoid hearing loud music, will help to keep your Mouth and Ear healthy. You can’t avoid stress, so you must find out the way on how to manage it. This will assist you to stay calm and function in a stressful state. Enhance a good balance between work, school, and social activities. Control your activities to the leading ones and give those 100%. Overextending will lead to disappointment, stress or exhaustion. Maintain an excellent relationship with your parents. Keep in mind that they want what is best for you. Keep away from abuse. This includes street drugs, alcohol, and any type of tobacco product. Stay away from situations where fighting or violence may cause you physically hurt. Drive safely. Motor vehicle crashes are the leading cause of death in many countries. Avoid riding in a car with alcoholic teenagers. This can divert the driver and make an accident. Wear protective headgear while riding a bike to prevent concussions. Focus on your feelings and moods. Don’t imagine your negative thoughts or feelings about something, ask for help. If you feel like you have low confidence, talk to an important person about it. Even just discussion to a friend for help. Don’t get afraid to ask for help. If you can talk to your parents and teacher at school. Find an adult or a person you can trust. If you’re feeling sad or harming yourself, get assist right away. If you are being bullied, inform to your parent, teacher, or other person. This takes in being bullied online or on your phone. Finally, if you are suffering from these health care problems you can feel free to talk to your doctor if you have any concerns about your health or your body. Here Venkataeswara Hospitals are there to help you overcome these problems.